BTGSE exists to support adults on the autistic spectrum in everyday life. The majority of people with an ASD fall outside the criteria of the statutory services, therefore the only support available to them is via charity. We are a registered charity and our registration number is 1100703. About Us Our Social Clubs What We Do Events Fundraising Membership What is ASD? 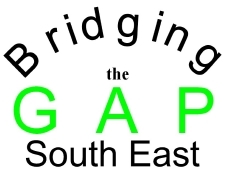 Copyright Bridging The Gap South East 2019©. All Rights Reserved.